I have written an article highlighting the benefits of the Labour Party producing an English manifesto. After John Denham’s speech on English governance in the House of Commons, I wanted to try and stimulate some debate within the Labour Party about the urgent need to produce clear policies for England. John Denham, Professor of Knowledge Exchange and Director of the University’s Centre for English Identity and Politics (CEIP) and ex-Labour Minister has kindly put the article up on his Optimistic Patriot website. The link and article are below. Since then and to the surprise of many Conservative voters, Theresa May has actually taken the Conservative party backwards in regard to the production of an English Conservative manifesto. Theresa May during her General Election reversed David Cameron’s decision and cancelled the Conservative party’s English advantage! It is now obvious that she made a poor decision to undo Lynton Crosby’s advice because many Conservative supporters think that if she had produced an English manifesto, the Conservatives might have been rewarded with a majority in the House of Commons. It would appear that Theresa May couldn’t overcome her ideological opposition to England because it would have been easy for her to have kept the English manifesto as it was already created before she came to power. Theresa May’s mistake now gives an opportunity for the Labour party to steer blue-collar English voters away from the Conservative party. All the Labour Leadership need to do is commit to producing an English manifesto on English policies. This is not difficult to do because the Labour party already produces manifestos for Scotland and Wales as there are clear policy differences between the UK nations. It is important that the Labour party doesn’t make the same mistake as Theresa May who failed to realise the potential of engaging with English voters. The Labour Party has a choice and should heed Martin Kettle’s words in the Guardian on the 7th June 2018 when he said ‘To cede the politics of England to the right is to ensure that it is the right that speaks for England‘. (www.theguardian.com/commentisfree/2018/jun/07/england-identity-politics-left-right) The Labour leadership needs to understand that the Labour movement has traditional patriotic English Labour voters that have not moved away from the Labour Party but instead have watched the Labour Party move away from them because it has failed to speak for England. An English manifesto would show these voters that the Labour Party does care and has listened. Producing a manifesto for England would be one progressive step forward in bringing power closer to local people across England. Without an English manifesto, people will continue to reject localism because of the fear of losing their national identity. By producing a manifesto for England the Labour party would be showing that it acknowledges that England exists, that the English nation and her people are respected the same as the Labour Party respect the Scottish and the Welsh nations. This is because a manifesto for England would naturally follow the geographical and political boundaries that already exist for England. England as a nation would be clearly defined and the production of the manifesto would be a vivid symbol that the Labour Party accepts England has a right to exist as a nation and the English should have policies just for them. The Labour Party would be saying that they accept England as England! Just as important it would allow the Labour Party to discuss decentralisation of power across England without the accusation that the Labour leadership intention is to ignore and destroy the very concept of England. Governance of England and within England would become an English matter which would encourage debate. The Labour Party would be saying that they will deal with England as a whole not just in regional and local parts. Decentralisation of power would have room to breathe! Discussion on localism would occur with the knowledge that England’s internal political integrity is not being threatened. Removing the fear of losing national identity would overcome one of the hurdles blocking decentralisation of power across England. For example, the Labour Party states that it believes in the nationalisation of the rail system across England. To show that they believe in this national approach, all that is needed is for the Labour leadership to write down an overall national policy with regional variations in an English manifesto. Another example is the NHS in England which it is widely recognised as requiring an overall national policy for fair funding whilst acknowledging regional variations in service need. This is because families in modern times do not just live in one region but have family ties across many regions. These families compare what NHS provision they receive and so want a national standard of NHS provision that is relevant to the country (England in this case) they live in. It does not make any sense for the Labour Party to discuss the NHS unless it is clearly indicated that there is a difference between their English NHS policy and their Scottish and Welsh policies. 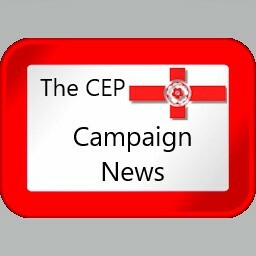 If the Labour Party fails to express a national vision with national funding assurances and instead only looks at regional differences across England then the English perception will be that family members have been ignored by the Labour Party. This will mean that regional political parties will continue to expand which will hurt the Labour Party chances of electoral success far more than the Conservatives. This is because the Conservative Party does not have to balance the Progressive alliances that flourish on left and now do not have UKIP to contend with anymore. All the Labour Party need to do is discuss the English overall national approach first and then allow for discussion of local decision making within an English manifesto and the Conservative Party would be on the back foot. Anyone who has been interested in the welfare of the Labour Party over the last few years is aware that the Party has recently been at the mercy of Celtic nationalists with both Plaid Cyrmu and the SNP making them pay at the ballot box. Producing an English manifesto will have an effect on these Celtic nationalists because It would stop the SNP causing problems with Labour supporters living in Scotland and the English Northern labour heartlands by continually saying that the British Labour Party does not properly speak for them. The SNP has been successful at blaming all Scotland’s woes on Westminster which currently the British Labour Party are struggling to argue against because they do not properly recognise English policy differences. This has allowed the SNP to use that confusion to their advantage. An English manifesto will allow the Scottish Labour Party to develop their counter-attacks on the SNP focusing on attacking their Scottish policy. The same applies to Plaid Cyrmu. So clearly defined policy in an English manifesto, will help Scottish and Welsh Labour voters to understand that the SNP and Plaid Cymru are not living up to their election promises. If the Labour Party does produce an English Manifesto they would undermine the Conservative English position, they would also reassure traditional Labour supporters that the Labour Party doesn’t want to break England up into Regions but instead just wants to decentralise power in a coherent and structured manner that respects the English nation. Finally, the Celtic nationalist attacks on the Labour Party would be limited to their particular nations and would not damage the whole progressive Labour movement. The choice is an easy one, embrace England and produce an English manifesto or continue to make Theresa May’s mistakes, oppose English recognition and lose voters at the next General Election. Be the first to comment on "The benefit to the Labour Party in producing an English manifesto as soon as possible"